Back & Neck Pain Can Seem Obvious. Except When It Isn’t. You know what back pain feels like — that twinge that you get when you straighten up from getting the newspaper off the sidewalk; the ache in your lower back when you’ve been at your desk all day. Or you reached to get a tough shot at the tennis net and now you feel like your neck won’t turn in one direction. But what about when your leg is alternately pins-and-needles or weak? Or when your buttocks are numb? Or, even, you’ve had incontinence issues? Damage or injury to your back or neck can express itself in other parts of your body because of the nerves that travel up and down your spine. These nerves touch many muscles, including those in your legs, arms, shoulders, bladder, and bowel. Most conditions will resolve themselves at home with the proper rest, heat or ice, some kind of anti-inflammatory medicine, and simple exercises. If pain persists or is severe, there are tests, including x-rays, MRIs, CAT scans, and others, that can be taken to further the diagnosis. Depending on what the cause is, your treatment may be simple over-the-counter medicine combined with specific exercises; or it may warrant muscle relaxants, anticonvulsants, or a course of steroids. Physical therapy — including occupational therapy that can teach you the proper way to lift or reach for things — is also on the menu. “At OINJ, we have many options when it comes to treating your pain and helping your back and neck condition improve,” says Dr. Gutkin. “The important thing to remember is that medicines are prescribed not simply to make the pain “go away” but to allow you to do the physical therapy that might be required, which will help your back by building strength and flexibility. 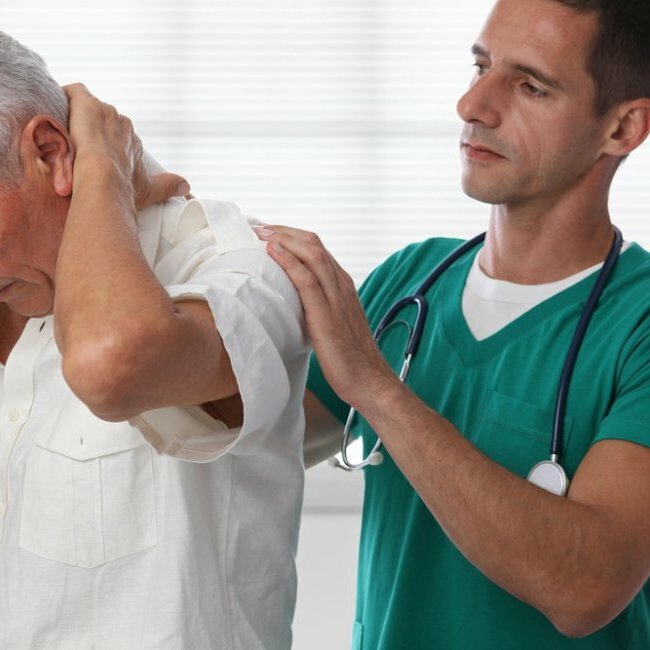 Pain medication can also to let you get back to your normal life.” Finding the right treatment for your back or neck pain starts with the right diagnosis. If your pain has persisted for a few days without showing improvement, it’s time to schedule an appointment with your physician.